Candidates weigh in on qualifications, challenges, transparency, and strategic planning. On Monday night, USAU hosted a two-hour Reddit AMA debate with the five candidates for the board of directors. Three at-large candidates — DeAnna Ball, Mandy Eckhoff, and Harvey Edwards — are vying for the votes of all USAU members. Additionally, a smaller segment of the community1 can also vote for the Elite Athlete representative, either Heather Ann Brauer or Jacob Goldstein Luria. Voting began on Monday and will remain open through Friday, November 4 at 7:00 PM Eastern. In addition to question prompts from board Secretary Josh Seamon, candidates responded to a series of questions posed by other members via reddit comment. The main themes that emerged during the AMA were transparency and communication, and how to weight the opinions of different stakeholders in the ultimate community, and strategic planning. Below is a selection of some of the best questions and responses; see the original thread on Reddit for more topics and ongoing discussion. Questions are in bold; responses identified by candidate’s initials. How are you uniquely qualified to join the USAU Board of Directors? (DB): As a returning board member, I have experienced the first-term growing pains that come with being a new board member. I served as the secretary of the board in my first year, vice president in my second, and I am currently the board president. I have been involved in ultimate for over 2 decades, as a player, as a volunteer, and as a coach. I have worked with staff at HQ as the women’s National Director prior to joining the board (and after a short break from volunteering). I am also the current chair of our board’s Equity and Diversity Working Group. As a female and a member of the LGBTQ community, I bring my personal experience and hope to continue building on progress that has been initiated in areas of equity and diversity. 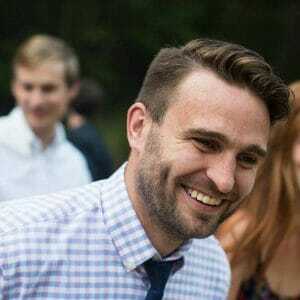 (HAB): I’m uniquely qualified to join the USAU Board of Directors because of the depth and breadth of experience that I possess within ultimate. I co-founded the Girls’ Ultimate Movement (GUM) with Zara Cadoux. I have served as the Youth Regional Director for the South and the West as well as the College Regional Coordinator for the Atlantic Coast. I have coached YCC teams from both coasts for 9 years, with teams from U19 Girls, U16 Girls, and U19 Mixed. I have played elite ultimate with Phoenix, Underground, and other club teams. I have also played for the USA Masters Women WCBU team in 2015. I actively coach at the high school level and do outreach through GUM clinics for girls of all ages in Seattle! I am an incredibly dedicated USA Ultimate volunteer and talented player. I am passionate about gender equity, want to see more diversity in our sport, and believe in making ultimate accessible to all communities – I have been using my voice on these issues and look forward to bringing my voice to the board on these and other topics. (ME): I think that my experiences as a past board member, a current ultimate player, and an attorney make me uniquely qualified to be a board member. I know how the board works and what’s expected of board members. As a current player, I know a lot of ultimate players who have have a wide variety of experiences with and opinions about USAU and as an attorney I know how to listen and help guide organizations through development and growth. I hope to bring all those experiences and everything I’ve learned to the board and work to be the best steward of the sport I can be as a board member. (HE): For what it’s worth I have been a part of this sport since its infancy. In the early days of the 70s when it was often described as “Frisbee football” those of us playing had to defend ultimate as a legitimate sport. I quit the Bucknell University Division I basketball team to start an ultimate team in the face of some serious ridicule. Nevertheless, I recruited athletes from other varsity sports, and we established a dominant team in the East. From that Spartan group graduates spread far and wide joining or starting teams on the West Coast in California and Oregon as well as remaining in the East playing in New York, New Jersey, and other states. Having had the pleasure of playing on both coasts and competing at the highest levels, I experienced the exponential growth of the sport at the onset of zone defenses and set offenses. As a result of my contributions as a player and my promotion of the sport and spirit of the game, I was inducted into the Hall of Fame in 2007. It is in my profound gratitude for this sport and the camaraderie that it has fostered in my life that I seek to repay this “game” for all it has given me. I will bring a unique passion and perspective to the board. (JGL): I believe I am qualified due to experiences within both Ultimate and my professional life. Within Ultimate, having participated in Juniors, College, Club, Beach, International, coaching, and organization – I have had the lucky experience of a tremendous amount of exposure to all divisions and the challenges and goals for each. All of these divisions require different tracks to take forward and I look forward to providing insight into each as they progress. In my professional life, I work as a health care consultant and a big role is the development of Boards – largely between entities that are at odds with each other. In this role, I have worked to create mechanisms of transparency, representation, and structures that promote both representation but also have the ability to accomplish significant tasks. What is the greatest challenge currently facing USAU and what will you do to address that challenge? (DB): Bridging the gap between the organization and its members. This challenge is impacted by difficult communication and what appears to most as a lack of transparency. We need to find ways to effectively reach out to the membership, and keep them apprised and engaged in the decisions that are being made to continue moving the sport forward. There are so many passionate members in the community – with a wealth of ideas and knowledge. We need to find ways to harness that passion, and bring the ideas and knowledge inside, so that what USAU produces reflects those same passions and ideas. (HAB): The greatest challenge currently facing USAU is a growing disconnect between the leadership and the members of the organization due to a lack of transparency. The organization, board, and membership (which includes many volunteers across the country) are all working tirelessly to support the growth and success of our sport. We have a common goal and I plan to take an active role in bringing all parties to the same table so we can come together as a team with a unified vision. I think that the basis for this needs to be increasing transparency and authentic communication. We need to build stronger relationships between all of the groups. “Grow out” to mean means the expansion of the membership, scope and breadth of the organization. As the governing body of Ultimate in the US, USAU now oversees hundreds of tournaments for a dozen or more different types of players and organizations all the while trying to run programs that continue to expand the number of people and kids who learn about and have opportunities to play our sport. We are a different organization than we were 10 years ago in part b/c of the explosive membership growth particularly at the youth and college levels. But as the membership grows, there’s an increased tension between creating new rules and policies and procedures and structures to manage that growth and be responsive as we can to all of the members of the organization. As a board, I think it’s our responsibility to help guide both growing up and growing out to try to reduce the inherent friction between these aspects of development. I think it’s being thoughtful in how policies and rules are developed and adopted and what we ask the organization to set as priorities for the coming years. I think it’s listening to the questions and concerns of members, most of which are not playing at the highest competitive levels, but still enjoy playing on teams and going to tournaments. And I think it’s trying to manage the growing up and growing out as fairly and uniformly as possible. I think I can bring those things to the board to help address what I see as the greatest challenge currently facing the organization. (HE): As indicated by several people already, communication and transparency are hand in hand the most important concerns for USAU. Those two components engender trust, and when there is trust, people are willing to engage and work to benefit the greater good. Players need to know that their perspectives, concerns and questions are being listened to and considered in the final decision making. They also want to see that board members are accountable in fairly representing their interests. I would like to see the board be more transparent and responsive to the members that wish to make the organization the best it can be. I also think the actions of the board, which will never please everyone, should clearly explain why the action taken serves the greater good of the ultimate community. I am willing to work to make that happen for my term on the board if I am elected. (JGL): I believe the greatest challenge is around communication and transparency. I believe that the USAU leadership and the current Board is tremendously well intentioned but has not had success engaging the membership if both forums for engaging in these discussion nor providing rationale on large decisions (e.g. US Open to July 4th wknd). In some of the questions below I provide some detail but most importantly, I think there must be a detailed re-set of expectations of the roles within USAU (e.g. the Board can not set stall counts), but also a re-engagement of the membership in the decisions that impact large populations of players. More to come on this throughout the discussion. Are you in favor of transparency in terms of who votes in support of various board initiatives?2 If not, how should we (voters) judge performance of individual board members? (DB): As a current board member, my current stand on this issue cannot be directly disclosed. But I do have some thoughts. There is no textbook example of how a board should run. In the time that I have been on the board (I am finishing my first term, and a term is 3 years in length), how the board governs and board development are always in play. We have heard from the USOC on best practices for boards governing NGBs. We have current members on our board that have a wealth of experience from other boards (sport and other). And we have our own experience with board members who have served multiple terms. Point being – some boards disclose the votes of the individual members, others do not. This is something that our board has voted to do in the past. In accordance with the board guidelines that each board member signs each year, we agree as a board that regardless of the outcome of a board vote, we support the final decision. Having a unified board is important – not just for the running of the organization, but for the support we currently, and in the future hope to, receive from our members, as well as the USOC. Divided boards – or even the perception of such – is not productive. This of course does not mean that everyone on the board should or does vote the same – we don’t. But again, upholding and supporting the final outcome is important for the unity that the board demonstrates. Look at it another way: do you want board members voting in ways to keep in the good graces of voting members in order to hold their board seats? What if in the end those votes don’t continue to push the organization forward in the desired direction? In terms of judging the performance of board members – the success of a board goes way beyond the individual votes on policies/issues. Members have to ask themselves – is the organization developing long-term plans that based on not only member feedback, but practices used in the development of other sports? Are the programs and opportunities being offered by USAU in line with the long-term plans? As a member, am I getting what I need from the organization to participate in our sport? One policy vote may not match a member’s opinion. But that single vote might be needed to move the organization in a direction that does match that member’s thoughts on the direction the sport is heading. It’s not always going to be a one-for-one. (HAB): I am strongly in favor of ALL board members having their votes published in a timely fashion following board meetings. In addition to vote publication, I think that rationale for voting is something that should be considered. I strongly agree that we cannot judge our representatives if we do not know if they are voting in alignment with our values. I am committed to pushing forward policies to create more open communication between the board, organization, and membership. (HE): Transparency in voting is important because it affords accountability. Board members should be able to justify their votes to constituents. However, that is not the current board policy. It is a very complex issue with pros and cons. (JGL): The primary function of the board is governance and oversight of USAU leadership. I want to make clear here that as written (and in normal practice of Boards); the BOD does not manage nor oversee the administration of USAU. As such, when looking at performance, the board should be measured on member satisfaction of the USAU leadership. 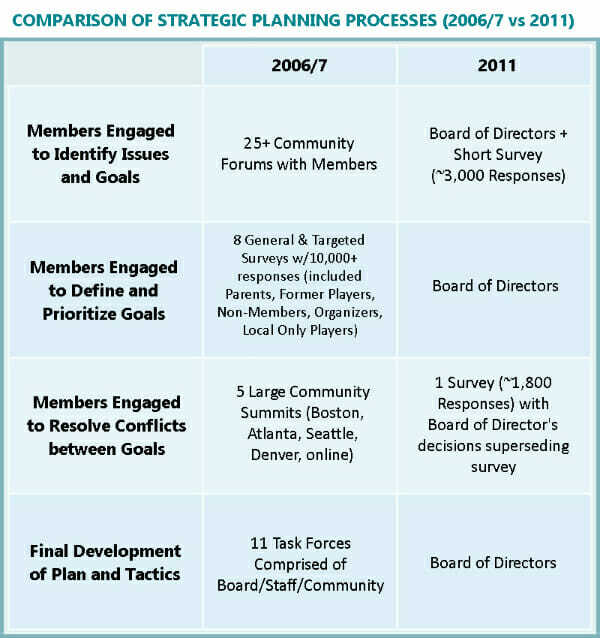 Secondarily, I would look at performance of the board as a whole as measured by member satisfaction with future direction of the sport – primarily through the future year’s strategic planning priorities (with a note that all Boards inherit current year plans and there requires time to provide modifications). What additional steps will you take as a USAU Board Member to improve the relationship between USAU and the membership to help better achieve the organization’s mission? (DB): This is the part on community: “Ultimate includes many groups who are passionate about the sport and who can help to move it forward. As a small national governing body, USA Ultimate cannot do it all, but we can take a leadership role by creating a stronger community between current and former players, coaches, officials, local league and tournament organizers, parents/relatives, school administrators and corporations. Through training and tools, USA Ultimate can enable each to enhance participation and acceptance of the sport at the local, regional and national levels.” I responded in another question this way: “Bridging the gap between the organization and its members: while things are not always contentious, there are times that our organization is faced with the strong, passionate voices of our membership. That passion needs to be embraced, and USAU has to find a way to highlight that they are not a closed-door, uninterested governing body. I have had the fortune to work with staff for nearly 2 decades. I see them in action as a coach, a retired player, and a board member. The staff is dedicated and they care a LOT about what they do. Finding a way to improve the relationships between members and the staff (who are in large part formerly “just” USAU members as well). Community is one of the three parts of the USAU mission. While USAU needs to run as a business/government of the sport, we are all one community – and working together on the issues big or small could really enhance the hard work that goes on every day. And really, getting at this sooner than later will make future progress step more attainable. To help with this: Find better communication avenues and create more member engagement (finding effective ways to accomplish this is necessary).” And this: “More board interaction with the community: I think there are a lot of ways that board members can step out and be seen. Admittedly when I attend a tournament as a coach, I don’t necessarily put on my board member hat. But I occasionally attend tournaments/other events as a board member (US Open), and I would like to attend more in that capacity. The face to face time with members is so incredibly important. Seeing members doing what they do in ultimate – play, coach, run clinics, observe, etc – is where one can sometimes see issues first-hand. And losing the shield of the computer screen brings “community” back into the equation. We are all in this together.” Perhaps some non-answers in there, but the effective communication part is big. And perhaps together, we can work to make it happen. (HAB): The USAU mission focuses on character, community, and competition – and these are awesome values to have.. In order to achieve character aims we need to continue to celebrate spirit of the game at every level of play – this is a place where we stand out to organizations including the USOC. To continue fostering the community that makes ultimate so unique, we need to remember the joys that brought each of us to this sport and kept us coming back – we need to continue creating opportunities that share such moments with new players of all ages. To create the highest levels of competitive ultimate that still showcase the character and community of the sport – we need to listen to the voices of all athletes which means building stronger relationships and fostering more authentic communication between the organization and players. I have been involved in the TRUST organization and I will work to put forth measures for the board to discuss and vote on that will increase transparency between the organization, board and membership. (HE): Increased communication goes a long way to build trust and relationships. So, by fostering more dialogue and transparency the organization’s mission can be more readily achieved. I will bring up the issue and listen to both sides regarding why the policy is what it currently is. If the policy were to change, I would disclose my votes when asked. (JGL): From Kyle’s discussion on Ultiworld, “From UPA to USAU,” this graphic is incredibly telling to me and the largest elements I push for as the strategic plan is updated — there simply wasn’t the level of engagement as in year’s past. I understand that tracking these elements are hard to track and the numbers may not be exact, but a minimum level of involvement should be included for an adoption of the results. A broad-based approach must be integrated in anything going forward. How would you generate priorities for the next Strategic Plan? What experience would you bring to the process? (DB): I think generating priorities is at least two-fold: member engagement/input, and experience from other newly emerging sports. I think it’s critical to understand the desires of the members in general. In other responses, I have eluded to the difficulties this brings: how to get the information and how to decipher the information (there will be conflicting ideas). And while USAU needn’t/shouldn’t do everything in the same way that other sports’ NGBs do things, I think the experiences of other NGBs can help inform how to prioritize ideas into tangible goals. In terms of the member engagement, it is imperative to get out into the communities – from hotbeds of ultimate (Seattle, the Bay Area, Atlanta, the Triangle Area, to name a few) and places where growth via youth is big (really much of the same areas), to places where league play dominates. This should also include visits to the college communities (DI and DIII). There are a lot of passionate people with great ideas that need to be heard. (HAB): Throughout my answers thus far, I have emphasized membership voice and authentic communication between USAU and players. The process of creating GUM gave me a wealth of experience generating strategic goals that captured the voices of coaches, advocates, and girls from around the country. We used a variety of mediums to collect information, facilitate conversations, and finalize GUM’s 5 Ultimate Priorities: Media, Pilot Programs, Curriculum, Volunteer Structure, Best Practices. All of these priorities have been actualized and are being built on within GUM. Here is a link to an info video on the GUM process which could be a good model to discuss. Beyond ultimate, I am currently working with an interdisciplinary team at a cancer diagnostic company. I lead a team that has brought together a number of different functional areas to prioritize product lifecycle options for advancing one of our products. Being sure we hear all voices and balance investment with the market return is key in option selection. I think my experience in both of these areas provide me with a versatile set of skills, innovative ideas, and leadership to help with the process. (ME): I think the best way to generate priorities is have the members help set the priorities by gathering their thoughts and opinions. I think there are a lot of different ways to gather this information, from focus groups to email surveys to phone interviews and I think it’s the job of the Board to help sift through that information and come up with a plan that is built on that feedback and information. Having been through this process twice with USAU and a few more times in my job as an attorney and previously as a management consultant, I think that my experiences listening, negotiating, and sorting and categorizing large amounts of information will all be assets in this process. It takes a lot of listening to develop a strategic plan b/c at the end of it, regardless of the outcome, the most important thing is that people are heard and that they were given the opportunity to participate. I would work to ensure that the information we’re given by the members forms the foundation of the strategic plan. (JGL): Not trying to downplay the execution of this question – but first and foremost – listen. I don’t have all the answers but am present in large and diverse Ultimate communities. Tying back to my thoughts on Board performance being measured by member satisfaction, I would engage in a process of small group discussions, surveys, probably a few way too long e-mail chains to learn about what some of these priorities are for the community at large to generate an initial list of priorities. These priorities should be ranked by priority, feasibility, and resource cost – then validated over and over and again in multiple formats. In terms of experience – I have had the joy of participating in this process multiple times. The biggest thing I have learned and bring to this experience going forward is that the singular view (even if correct by whatever standard) rarely gets executed. To move large, membership based organizations, the process of gathering information and verifying priorities to have aligned expectations is by far the most important component of a Strategic Plan. My experience that I would bring to the process is to not skip this step and jump to implementation / execution before the membership is in agreement. Based on your understanding of what it means to be a member-based non-profit, how much input should USAU members have in decision making? (DB): Member input is incredibly valuable. As a growing organization, however, need to recognize that the time effort on getting member feedback on the daily workings of the organization is not possible. The organization needs to be allowed to “run.” Yes, there need to be touch-points wherein USAU gathers feedback about progress, next steps, and to get a feel for the general pulse of the community. And in the bigger picture, member input on long-term planning is a must. It is important to remember that USAU does solicit feedback. I believe one current mechanism for that is email surveys (I receive them as a participant coach after events). The return on this sort of surveying is not ideal. The working groups (with player reps) also exist as an outlet to submit feedback. These groups meet once a year in person, and are continually active with staff (and by extension the board). What members need to realize is that they do have input, and work needs to be done to better develop the ways in which one can provide that input. So can I put a value “how much” in terms of the input for decision-making? No. But that’s not the same thing as saying USAU doesn’t want the input. USAU needs to ensure that the information gathering that happens targets the right questions/answers, and gets at the heart of problems to be solved. That target isn’t always hit – and I recognize that. The organization (via the board, staff, and volunteers) need to continue working with the members to get at the answers that will continue to guide not just the organization, but the sport as well, in the direction of growth and development. What that looks like might very well be determined by the upcoming information gathering that will help inform direction of the sport for years to come. (HAB): USA Ultimate made a clear shift when it rebranded itself as USAU, instead of the Ultimate Players’ Association. Many of the current concerns and frustrations of the membership can be traced to the alterations that followed this move by the organization. This may be a large part of the downward trend in member engagement Jacob mentioned. Kyle Weisbrod’s article details this thoroughly. Much of what I would like to bring back is the membership voice as we start to assess the future goals of the organization and sport. (HE): Members should have input and should share that with the board. Again, that could be as a player channeling those thoughts through a team representative or direct communication via email or letter to board members, if so moved. If I am elected, I will establish an avenue for players to contact me and share their concerns, which I will then present to the board. (JGL): In my opinion, Members should have greater insight into broad decisions of the future of the sport. Specifically, I would strongly support and seek to implement a Prop-Question type system into the USAU framework similar to many state elections (e.g. Vote Yes on Question 6, No on 2, etc…). This type of system can provide Member’s a great insight into key issues / proposals made by the membership. Additionally, Members must show a greater sense of engagement – a 2% showing of voting in 2014 (no numbers for 2015 due to un-opposed candidates) must be increased. Should the board prioritize the desires of current members ahead of the board’s judgment of the good of the sport as whole (or the interests of potential future members)? (DB): Our organization has thousands of members. Undoubtedly if every member responded to a survey about what they desire for our sport and our organization, we would have an incredible amount of ideas (it would be an awesome problem to have, to analyze data from that many members). Defining “current members” is difficult when a small percentage of members are actively involved in providing feedback and generating conversations. Of course USAU tries to engage with as many members as possible. From the information gathered from that engagement, strategic plans are established, and the operating plans of the organization are developed. With all of that, the desires of current members should be tied into the judgment of the good of the sport – that’s how the development and implementation of good strategic plans work. So really I think my answer is YES on all: we should prioritize desires of current members because they are embedded into the long-term planning, and then the board’s judgment is used to best guide the organization in executing those long-term plans. In regards to potential future members – if the organization is developing long term strategies to develop the sport, it should be creating programs and opportunities to bring in new members – that’s how organizations and sports like ours grow. So at some level it is necessary to tap into what draws in new members. And this should also be included as I say above. Summary answer: If these things are working well – member engagement, proper development of strategic plans, execution of the plans to achieve long term goals – then those parts don’t need to be considered separately: current member desires are built into goals that are guided by the judgment of the board, and this needs to include bringing in new members for the growth of the sport. (HAB): Board members are responsible for voting not just for the current needs and wants of the organization, but also for the future of the sport. If the strategic plan is clear and representative of the members’ voice – there shouldn’t be much difference between these. (HE): The wishes and desires of current members must factor reasonably in the decisions as to how the sport goes forward. The current players are shaping the game today. However, with regards to potential future members the board must use its judgment to mitigate any desires by current players that may be detrimental to the sport’s growth and development. (JGL): This is a very interesting question. In line with my previous response on Board performance, I believe the Board should be accountable to the membership based on member satisfaction of the strategic planning process. While the Board’s governance over the USAU leadership (specifically the CEO) is in real-time, many of the functions are about prospective strategic planning and should be measured as such. Additionally, through my professional experiences in developing, managing, and remediating boards within the health care environment, boards that constituency-dependent or managed struggle to make progress and see the larger picture. I am cautious to say the current membership is a constituency, but the USAU Board must prepare the sport for “potential future members” and act in the good of sport as a whole, while maintaining the satisfaction of current membership in real time. Comments on "Best Of USAU Board Candidate AMA"